A vivid celebration of religion, Spanish culture and the arrival of spring, Semana Santa is celebrated fervently throughout Spain. A SEA of robe-clad nazarenos march down the streets and echos of brass instruments and drums form a steady ostinato. 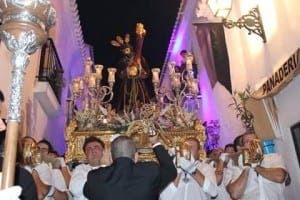 Scenes like this are familiar to those that have experienced the magic that is Semana Santa, and as one of Spain’s largest and most lavish celebrations, it’s hotly anticipated by both residents and visitors to the country every year. The nazarenos cover their faces in mourning and shame for the sins committed throughout the year. Their conical hats (capirotes), traditionally worn by clowns and criminals, are a physical manifestation of this shame. At first glance, it’s an unnerving sight, but underneath the costumes are normal residents upholding the fiercely religious tradition. Andalucia is where most choose to spend the week of festivities, with the most popular choices being Sevilla and Malaga. If you’ve never experienced it, get ready for a week like no other. If you have, try celebrating in a different city. 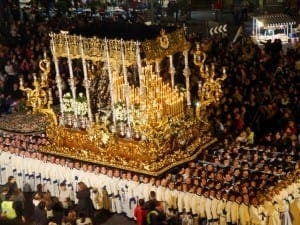 Semana Santa is Sevilla’s biggest celebration after the Feria, which follows just weeks after. Processions trawl through the city’s notoriously winding lanes, attracting a huge number of visitors, with many Sevillanos escaping to quieter cities for the week. Those who live in the centre will have grown accustomed to the steady drum beat of the bands persisting throughout the night. And as the sun sets, floats (tronos) carrying hundreds of candles surrounding lovingly carved statues of the Virgin Mary and Jesus Christ light up the streets. 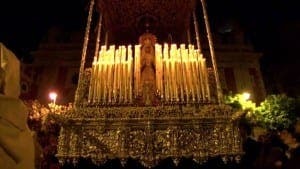 The most famous of Seville’s processions is La Madrugada (dawn), which takes place from Maundy Thursday until Good Friday. 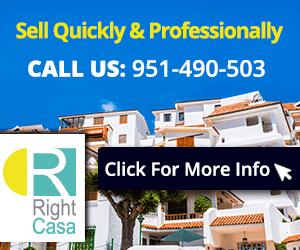 During this, you’re likely to see women dressed in black lace and flamenco dresses expressing their emotion through the iconic Andalucian dance. The processions climax on the morning of Good Friday, as the nazaarenos, bands and floats arrive at the city’s cathedral. A good place to watch this from is Giralda and the Bishop’s Palace. The normally tranquil town of Mijas comes to life during Semana Santa. This year the town is carrying out extensive works on the streets to ensure the pueblo is at its most attractive while hosting the festival. In addition, flags, palm leaves and flowers will inject the white-washed streets with a flourish of colour while heavy floats weave their way through the narrow streets. Each day the processions will tell the story of the Passion of Christ through music, floats and movement. It’s an amazing sight, and one the proud residents – a community of Spanish natives and expats – look forward to each year. Andalucian customs are often cloaked by Marbella’s mass tourism, however when Holy Week arrives, a more traditional side surfaces. Nine brotherhoods remain in Marbella, and the week begins with a procession from the San Juan de Dios Hospital while school children sing to the statues of the saints on the colourful floats. Processions take place every day including a sombre silent march on Maundy Thursday which departs from the Holy Sepulchre Chapel and passes through the historic town centre. 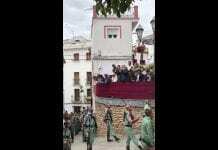 The tronos carried through the town often weigh more than 5,000 kilos, and the processions start at different times in the evening, depending on the day. This year, the week will end with a mass at the Iglesia de la Incarnation in the morning, followed by a march from Parroquia de Nuestra Señora de la Encarnación. 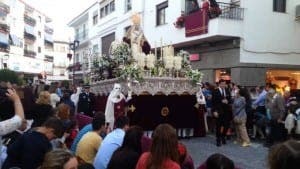 Thousands of tourists descend on Estepona for Semana Santa, and the coastal city holds vibrant processions throughout the week. They include a march of children on Monday evening and one with a trono which is carried by women – an unusual sight. The Cofradía del Cautivo, the Cofradía del Amor and the Cofradía de la Veracruz are the principal brotherhoods in the city, and all members march to celebrate the resurrection of Jesus Christ. Expect restaurants and bars here to be packed with celebrants until the early hours of the morning. Preparations for Holy week in Malaga are apparent weeks before the actual event, with capirotes on sale in the Old Town’s shops and musicians lugging huge brass instruments through the streets on their way to rehearsals. It’s been celebrated in this city for more than 500 years and was declared a Fiesta of International Tourist Interest in 1980. Although its origin is religious, it has evolved into a social celebration of Spain’s culture and the start of Spring. 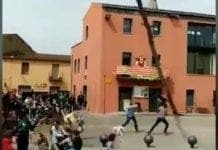 Unlike many of the Semana Santa celebrations in the north of Spain, it is not a sombre affair, but an exuberant spectacle that animates all senses. More than hundreds of thousands visit Malaga for the celebration, with some of the floats too big to even fit inside the churches they travel between. the best I think is alhaurin el grande, I went a couple of years ago and is was lovely. they have a real life god and the bands play and elderly men cry, so atmospheric. there is purple church and a green church who seem to try to outdo each other. I was in a bar that used to be there and drank with god at the bar, not many people can say that.